Many of us know either friends or perhaps co-workers who seem to just ooze self-confidence. Everything seems to come so natural to these people and more than a few of us envy their easy self-assurance. For most of us, there are times when we feel confident and strong within ourselves …. And yet there can be other occasions when our self-confidence seems to have evaporated and any shred of self-belief completely eludes us. When we find ourselves in these situations, it’s as though the inner demons of self-doubt are now at the control panel and we start second guessing what we’re doing and worrying that we won’t be good enough! 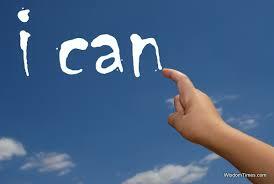 Cultivate positive “self-talk”…… Your thoughts and the type of thinking you indulge in can influence how you feel. Worrying about the negative things that “might happen” will undermine your confidence and instead create anxiety. So learn to control your thoughts and make them an ally in fostering self-belief. When you are unfamiliar with what you are about to do, it’s very easy to get lost in feelings of uncertainty and anxiety. All too quickly the mind can start building horror scenarios of what may go wrong. When those inner demons of self-doubt are allowed to dominate, they will often seek to inflame a fear of failure when we are faced with new opportunities. This is a fear that can well and truly undermine our confidence and have the potential to paralyse us. So then, how can we combat this? One method is to keep some perspective. 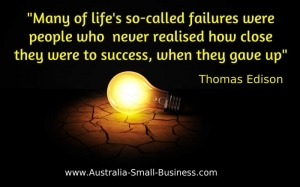 Failure is such a harsh word – it implies that all can be lost. And yet this is simply often completely untrue. Even when an experience does not go as planned – we can still gain important learning and insight, emerging stronger and wiser, so that next time we can perform better. Trust that your self-confidence will grow as you gain more experience – so do not allow a fear of failure to prevent you from gaining that all-important experience. Also try to remember to be patient with yourself – Some people think that if they do something less than perfect, then they have failed. What utter nonsense ……. this unrealistic expectation can mean these people will be reluctant to try new things. Learning something new takes time. You need to be willing to stretch your comfort zone and accept that some mistakes will happen along the way. Learn from them – and then move forward with greater confidence. Although you are much more than your clothes and appearance, never-the-less when you know that you look good then you are more likely to feel confident. You do not have to spend a lot of money to be able to dress “sharply”. Some people find that even though they are on a limited budget, they focus on buying fewer clothes, but of a higher quality. Set yourself some small goals that you know can be achieved. There are some people who make the mistake of over-reaching and shooting for the moon – setting themselves up for disappointment and discouragement. So set yourself a goal that is achievable and will bring you satisfaction, as well as help you feel good about yourself. The more you are able to experience the sense of achievement that comes from being successful with achieving your goals, the more your self-confidence will grow. So start with small goals and then you can gradually start setting bigger goals for yourself over time. With patience and perseverance you will re-discover that innate sense of self-belief that you were born with! Imagine having such a strong sense of self-confidence, that you no longer cared what people think of you. Your self-esteem would no longer be dependent upon feeling that you had to impress other people. How liberating would that be? See what you think of these ideas …. In this short clip, the speaker makes the point that most of us might feel nervous or anxious on occasion …… but if we are regularly feeling anxious, then there will be a problem. He explains that anxiety is caused by fear, and that too often our fear is simply misplaced. We worry about things that will never happen, or imagine the worst without any real evidence that that this worst case scenario will indeed happen. By letting go of the fearful thought, he says our anxiety will melt away and we will find within ourselves a feeling of calm self-confidence …. In this interview, Rev Michael Beckwith discusses the power of our thoughts and beliefs in shaping the world that we experience. He advocates that by cultivating positive and affirming attitudes then we can begin to recognise the endless possibilities and opportunities around us that we may otherwise have overlooked. Perhaps you may have seen on TV a programme called “The Secret” .Some of the ideas from that programme around the need to avoid blame and accept responsibility are explored …..
Do you feel that a fear of failure is holding you back from taking some risks ….. and possibly preventing you from experiencing greater happiness, and prosperity in your life? If so, then have a listen to Brian Tracey…… in this short video clip he shares some insightful ideas on how to develop the courage and build the self-confidence you need to face up to your fear. 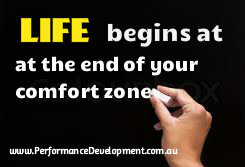 He is certainly not advocating that you become reckless – but he is encouraging that you be willing to stretch your comfort zone …..
Visit our page Personal Development for many more tips, links and ideas that can help you to reach and enjoy your full potential in life ……. Be the best you can be!